Getting a good night’s sleep is an important part of enjoying your time on the water. Boat manufacturers often include very basic foam cushions that make it impossible to get comfortable. If you plan on spending many nights on your Sea Ray, getting a proper mattress for your stateroom is one of the best upgrades you can make. Sea Ray boat designs include several different berth options depending on the model and features of your boat. Since each vessel is slightly different, it’s important to measure your berth carefully. In general, you will find that Sea Ray mattresses come in three different shapes. A common type of marine mattress found on Sundancers is a modified full or queen-sized berth. Depending on the location of the bunk and the boat design, the cushion may have trimmed corners or even tapered sides. Midship berths tend to have more traditional sized mattresses while mattresses located in the v-berth area tend to have more custom designed edges. Sundancers above 35 feet usually feature an island berth in the forward stateroom. This Sea Ray mattress is cut on two corners to fit into the bow’s shape and lies along the centerline of the boat, allowing access from both sides. What Type of Mattress is Right for My Boat? Many boats, including Sea Rays, come with simple cushions in their bunks that no one would want to sleep on. High-end boat manufacturers provide custom built innerspring mattresses, but these are generally too costly, heavy and are extremely difficult to get in and out of the boat for replacement and cleanings. 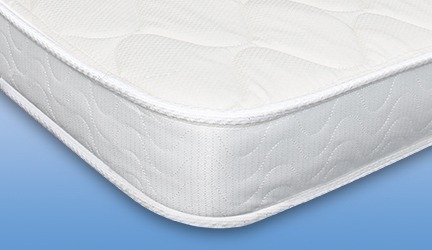 Foam mattresses offer excellent comfort and an excellent value. They are shipped rolled and compressed, so they are easy to get into the boat and put into place. Marine mattresses should also be hard wearing and long lasting. Higher quality products will hold up better in the rigorous marine environment and will last longer through multiple cleanings and continuous use. How Do I Find My Mattress Dimensions? If your boat will need a custom shape mattress, make a template using a large piece of paper that overhangs all corners of the bunk. Rolled brown paper for floors, which is available from many home improvement stores, will work great for this. Be sure to label the top side of the paper for orientation and clearly outline the edges of the bunk. You can use our online form to get a custom quote for your marine mattress. 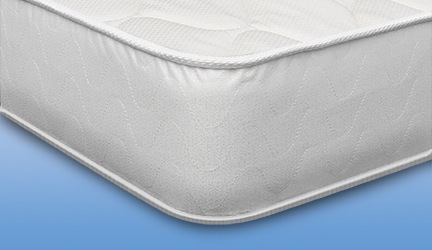 We at ReplacementMattress.com use only the highest quality materials and old-fashioned heavy-duty stitching to ensure your replacement mattress will last years.We can provide any size of replacement Sea Ray boat mattress including v-berths, island berths, and aft cabins. While many sizes can be ordered directly, even the most unusual shapes can be made quickly using our custom order form. And if you have any questions, we’re just a phone call away, you can reach us at 888.889.2812.